Over the past couple of months, I have been enjoying using the Nescafe Gold Barista, and even though I have been indeed monitoring my intake; cutting down from four cups to only one per day due to being in the final stages of my pregnancy, my usage of it has been pretty thorough, thus making me experiment on the different types of coffee styles that this barista machine has to offer. 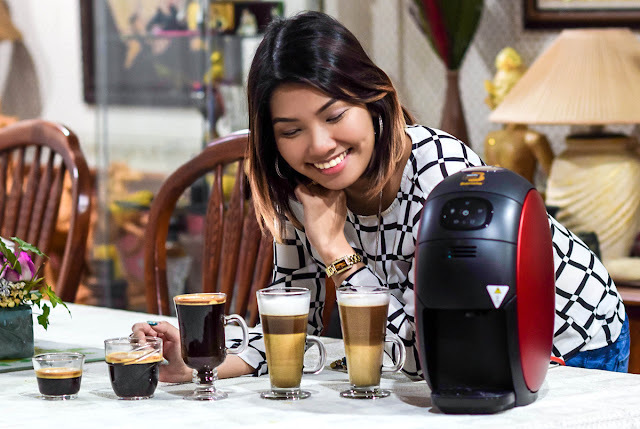 Now I have mentioned this before on our Facebook Page, but just in case it was missed, the Nescafe Gold Barista has five ways of making coffee. My favorite preference is having it in the Latte form where the milk foam rises to the top in a frothy delicious manner, but for those of you who enjoy a pure cup or having it in different ways; I have listed down a simple step by step on how to fully utilize the machine. If you are beginning with a brand new machine, the very first thing that you would need to do is to cleanse it. This is just to sanitize the spout on where the hot water comes out and of course to ensure that the machine is making your coffee beautifully without getting anything stuck in between. For this, simply fill the container at the back with drinking water, put in a small cup (a 60-100ml fit would do), flip on the switch and wait for the light on all the thumbnails on the monitor to turn green. 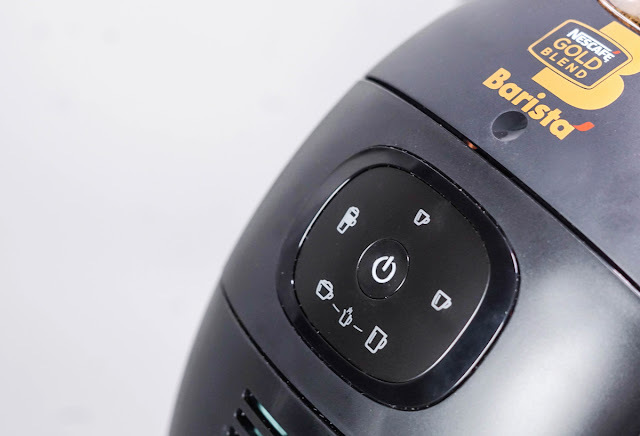 Once you have that, gently tap on the espresso logo using the one touch system and let the hot water dispense out fully. When the cleansing is completed, the next thing you would need to do is select your coffee of choice. 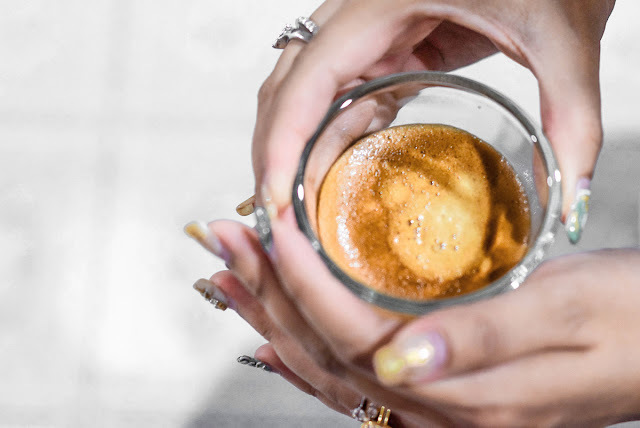 If you enjoy yours pure, you can always opt for Espresso, Lungo and Americano. 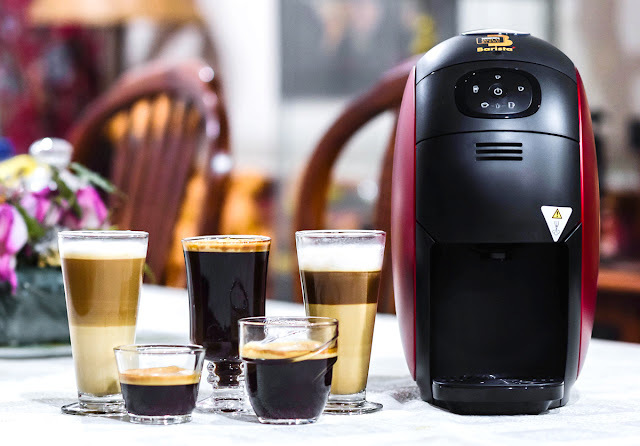 The difference between the three is the suggested cup size; where the espresso has a serving of 60ml, Lungo has a serving of 140ml, where else Americano has the serving of 200ml. Below I have listed down the recommended cup capacity to utilize as well as how to use it for easier reference. 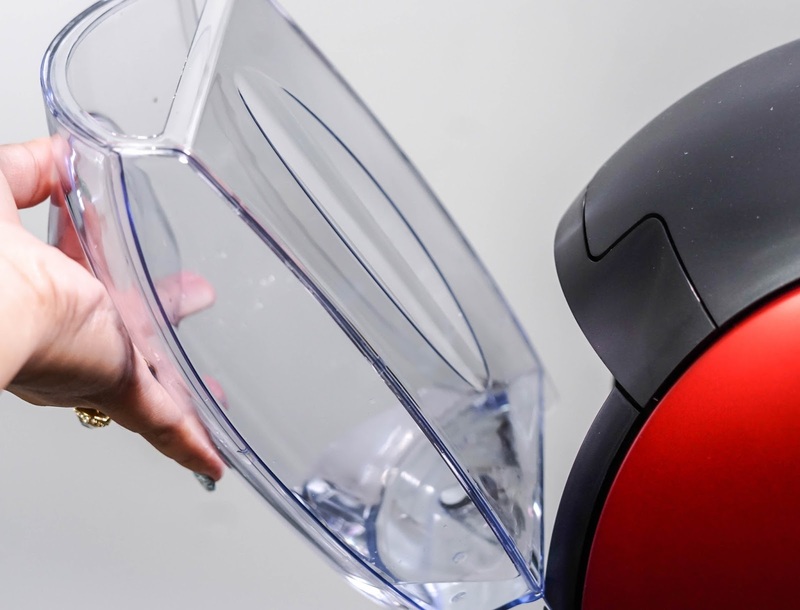 Ensure there is enough drinking water in the back water dispenser (at least half), fill the front container with the Nescafe Gold Blend and once all the thumbnails turn green, click on the Espresso Logo. Your coffee will dispense out well in a matter of minutes. You can add in the amount of sugar that you would want later. 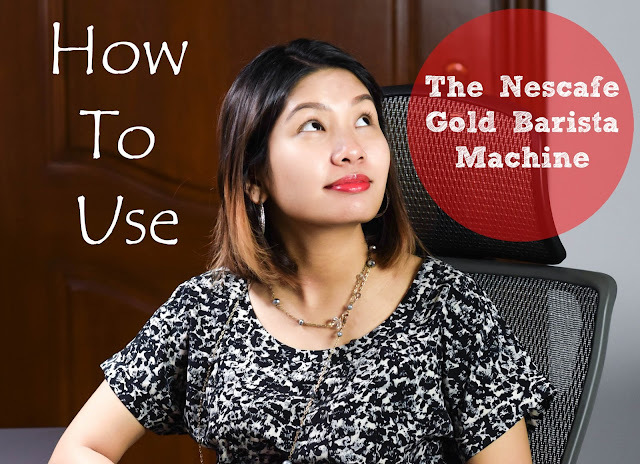 Ensure there is enough drinking water in the back water dispenser (at least half), fill the front container with the Nescafe Gold Blend and once all the thumbnails turn green, click on the Lungo Logo. Your coffee will dispense out well in a matter of minutes. You can add in the amount of sugar that you would want later. Ensure there is enough drinking water in the back water dispenser (at least half), fill the front container with the Nescafe Gold Blend and once all the thumbnails turn green, click on the Americano Logo. Your coffee will dispense out well in a matter of minutes. You can add in the amount of sugar that you would want later. As for the other two options which are the Latte and Cappuccino, here is where you can get a little bit more creative and style them with fresh milk. As we all know, these two depend on the amount of froth, so while the serving for Latte is at 220ml and Cappuccino at 190ml, at least a ¼ cup of fresh milk would be needed on each. Basically if you would like more of a velvety creama in your drink, you can always add more milk (cold would be best) following up to your preference. Just ensure that the cup that you have would be able to handle the amount you put in. 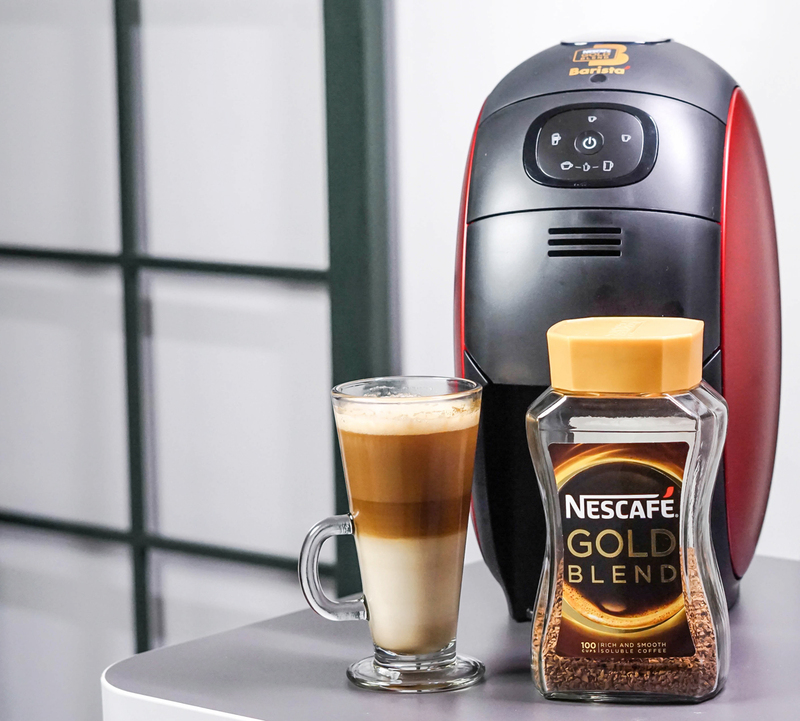 Make sure that there is water at the back dispenser and fill in the front container with the Nescafe Gold Blend. Once done, measure and pour your milk content (a quarter of 300ml would do), sugar into the cup and once all the thumbnails turn green, click on the Latte Logo. Hot water will churn your milk into delicious foam and your coffee will be dispensed out in a matter of minutes. Make sure that there is water at the back dispenser and fill in the front container with the Nescafe Gold Blend. Once done, measure and pour your milk content (a quarter of 300ml would do), sugar into the cup and once all the thumbnails turn green, click on the Cappuccino Logo. 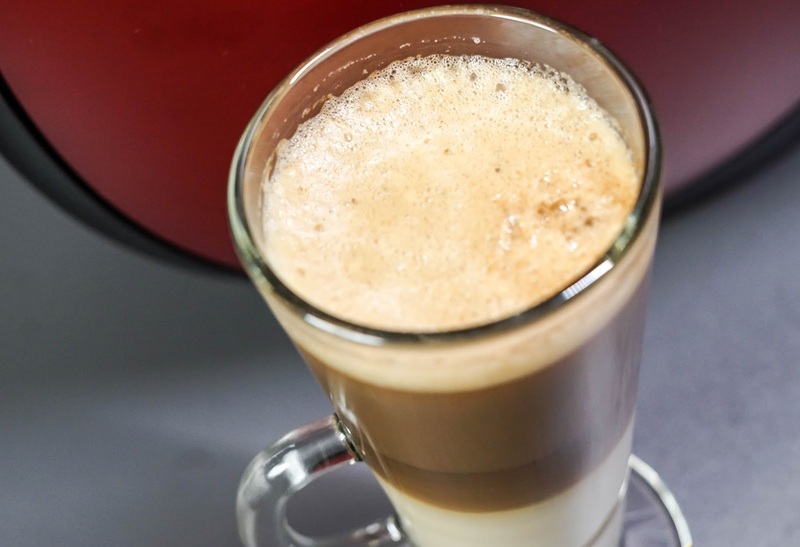 Hot water will churn your milk into delicious foam and your coffee will be dispensed out in a matter of minutes. 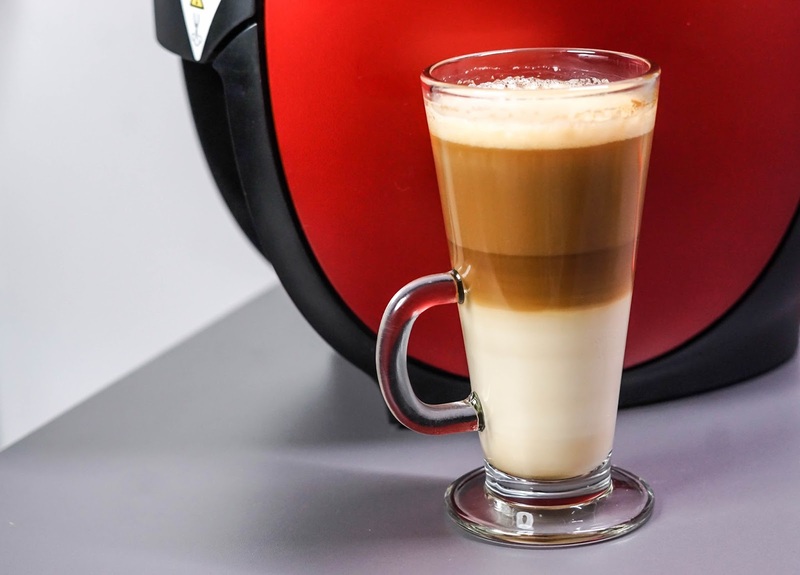 Now personalizing your coffee with other elements in the Cappuccino and Latte option is also available, but a good one that I would recommend is to mix in a bit of milk, sugar and melted chocolate into the cup first. Then let the hot water swirl the blend together to give the consistency volume, and finally dispense out the pure coffee to a nice mocha. Believe me, this is a great mix to have. 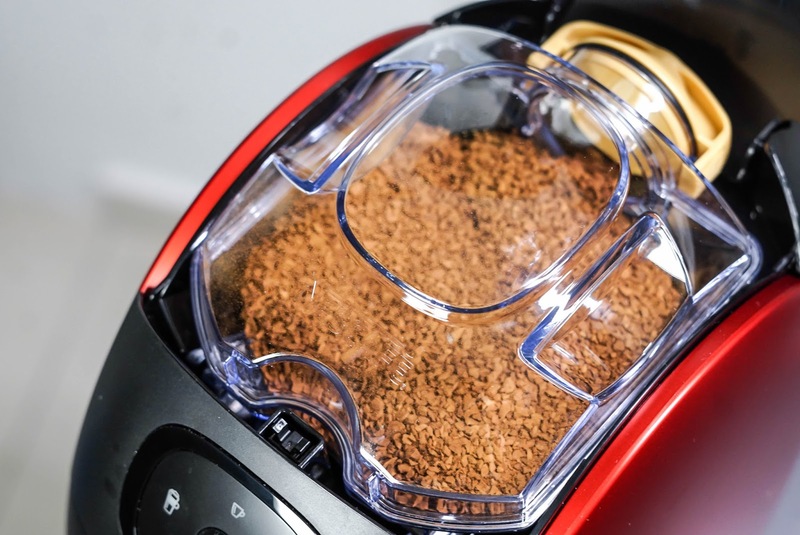 Now in terms of this step by step pictorial, I do hope you take something from it as it serves as a guide, but if you are starting out with a new machine, Nescafe has also provided a very thorough step by step manual in the box on how to utilize it which is great. In the meantime, for more details on the product, you can definitely take a look at Nescafe’s Official Website and Facebook Page and if you are on Twitter as well, you can follow them on their main handle too. 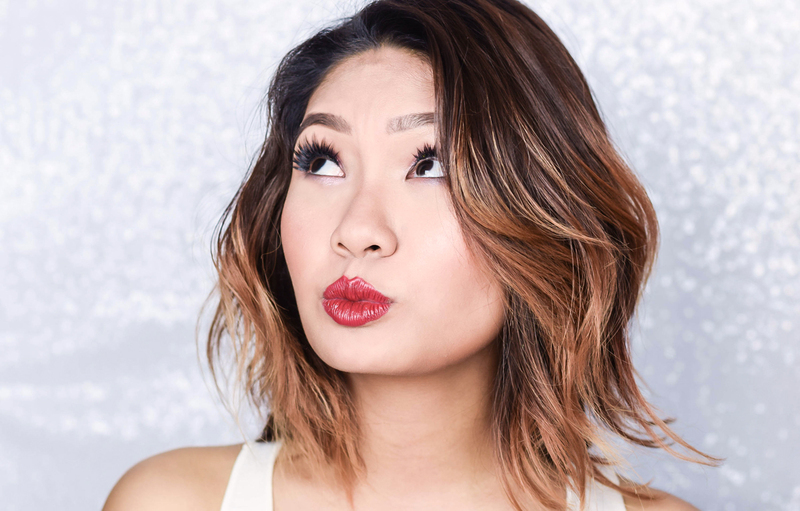 Plus since it’s the holiday season where this would make the perfect gift, you can also reference the brand’s YouTube videos to show how the #NescafeGoldBlendBarista can be used as well. 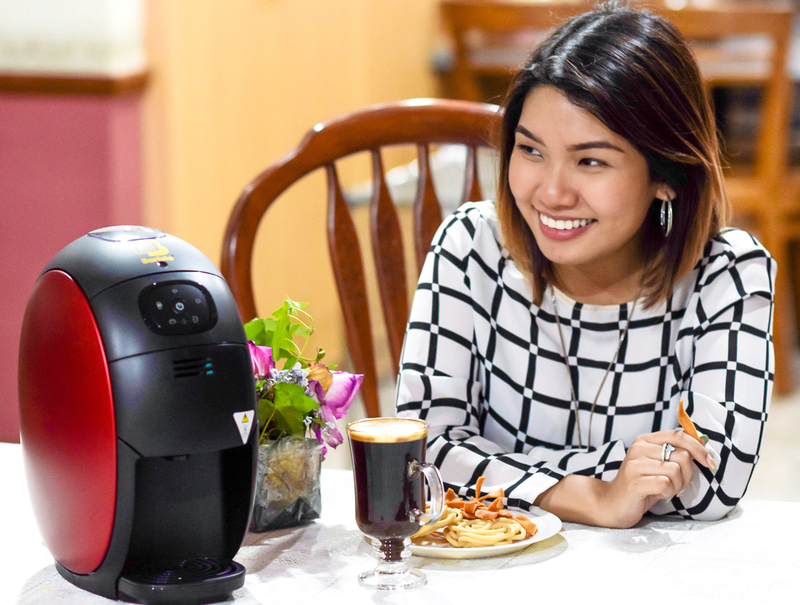 Meanwhile, if you are gifting yourself the Nescafe Gold Barista, I hope you enjoy it to the fullest.